Day 117: We've been 'NAEPed'! 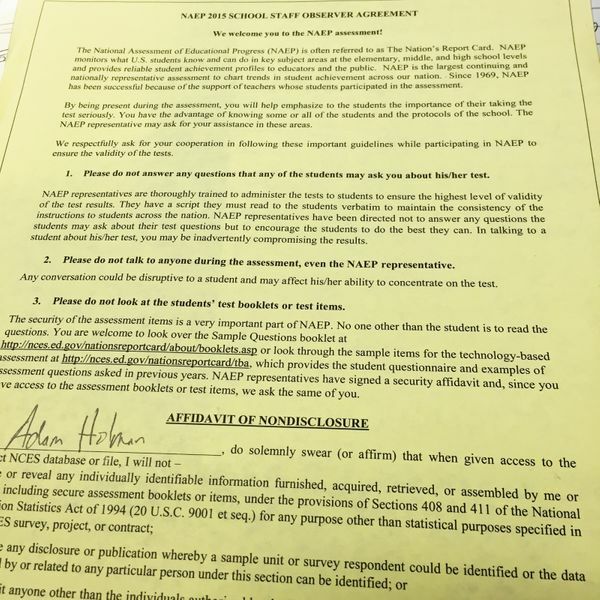 About 100 8th graders took the NAEP (National Assessment of Educational Progress) test in the cafeteria today, but due to my observer agreement (pictured) I was not allowed to take a picture of the testing area. So here's a boring picture of what I had to sign, but this represents the 90 minute tests that our students took as part of our 'Nation's Report Card'.